John has been fishing for close to 50 years. As a youngster he began a "love affair" with the Bois Brule River in northern Wisconsin. He returns to fish the Brule with family and friends at least once each year. At the time this story was written (November, 2001) John and his wife were celebrating their 31st wedding anniversary! John is currently in public relations with a local utility company. 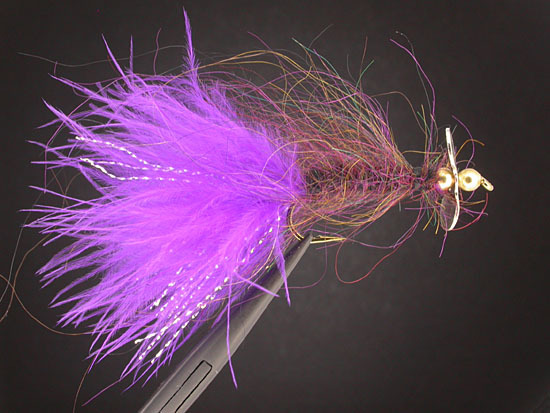 "... the 'snag' moved toward mid-river with an unhurried, steady pull...."
Hook: Size 6 to 12, 4XL. Dai Riki 710 shown here.